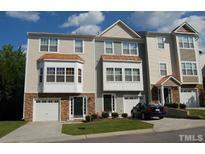 Below you can view all the homes for sale in the Haddon Hall subdivision located in Apex North Carolina. Listings in Haddon Hall are updated daily from data we receive from the Raleigh multiple listing service. To learn more about any of these homes or to receive custom notifications when a new property is listed for sale in Haddon Hall, give us a call at 919-759-5775. Open and spacious floor layout, a lot of natural light. You must see this home! MLS#2249741. 683. Fantastic basement has Recreation room/Bonus, wet bar ,Bedroom, & media Room. Stamped conc patio & level yard! MLS#2248239. 4141. Luxurious 3 level twnhome in desirable Haddon Hall.Open floor pln w/lots of natrl light.Gleaming Hardwood floors,granite Counter Tops,island,brkfst bar,42” Birch cabinets,Stainless Steel Appliances.Hunter Douglas blinds, generous closets, 3 zone thrmst.Sun Room leads to deck w/view of trees/greenway.Large Master ste w/garden tub,Walk in Closet & 2 additional closets.Large entryway leads to fm Room/den or 2nd Master w/on-ste & offc.Prof landscaping.Community ament:pool/splsh pad,tennis,playgrd,wlkg trls.Close to 540, shopping & restaurants! MLS#2247797. 4852. Master suite with dual sinks, corner tub & separate shower. Lots of natural light throughout. MLS#2247061. 2804. Walk Up Attic! Plus MORE! Pool/Tennis Community! MLS#2244649. 2006. Convenient to grocery stores, restaurants, shopping, banks & more! MLS#2243205. 986. This home also boasts a fenced-in backyard, large family room with built-ins, spacious kitchen with granite counter-tops, 1st floor walk-in laundry, & a three-seasons room! MLS#2241910. 1127. Easy Access To Major Roads, Beaver Creek Shopping, Restaurants & Entertainment! MLS#2238238. 3206. 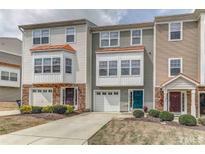 It's located at the entrance to a double cul-de-sac, and a quick cut through your own backyard puts you on your way to downtown Apex. Pool, tennis, trails! MLS#2221838. 4542.